The OMC is based on the new series star Ash vs Evil Dead. 30 years after the events of Evil Dead, Ash Williams, a salesman in a store ... and demons killer still has not managed to recover from the events. 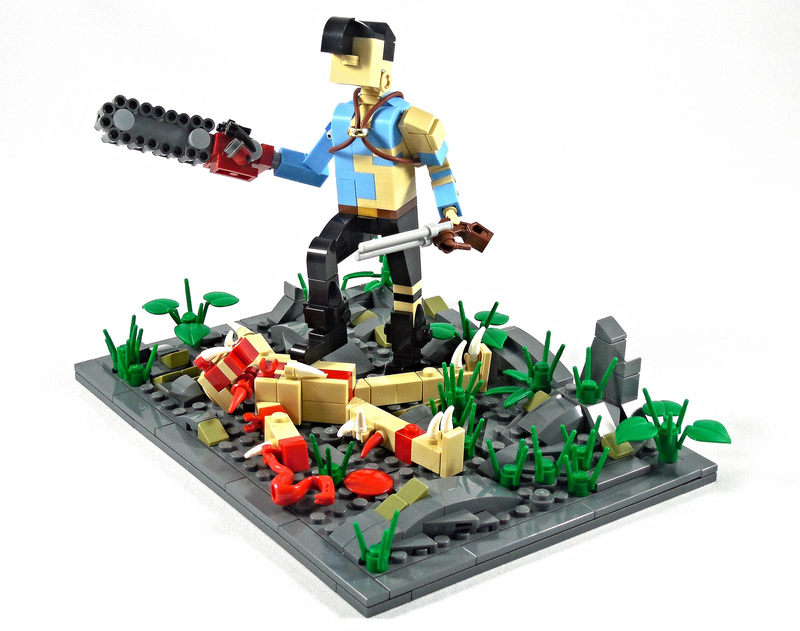 But when evil (yes with a capital M) is about to invade the earth, Ash has no choice but to stand his chainsaw ... 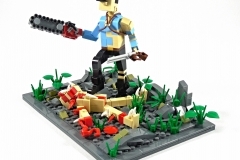 I find it very nice MOC, especially as it uses not a Lego minifigs as a base. Ditto the famous book "Necronomicon" looks very good. Great inspiration!